A magnificent feat showing lateral thinking when vertically challenged - a truly radical piece of ladder application engineering. Possibly one of the craziest Death Wish entries we have seen in some time. 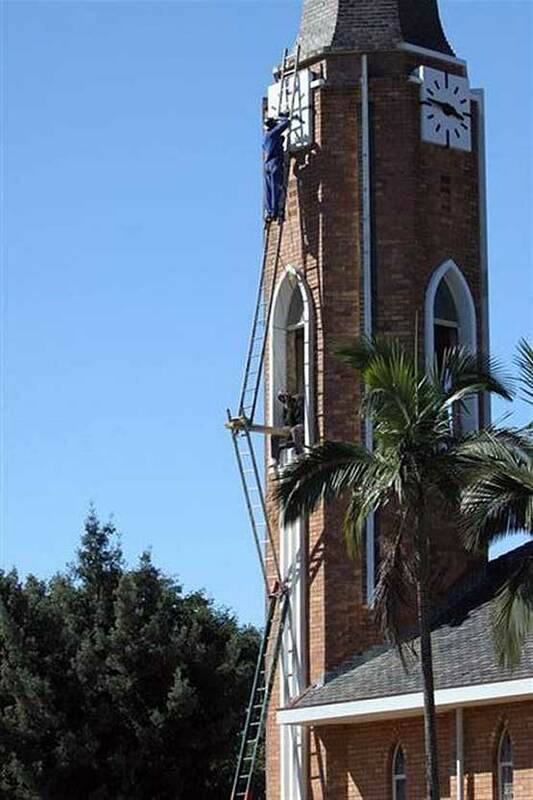 The men are painting the church clock tower in the northern town of Mussina, (previously Messina) South Africa on the border with Zimbabwe. The first glimpse looks bad enough, the man is clearly on a long ladder at some height and trying to rub down and paint. 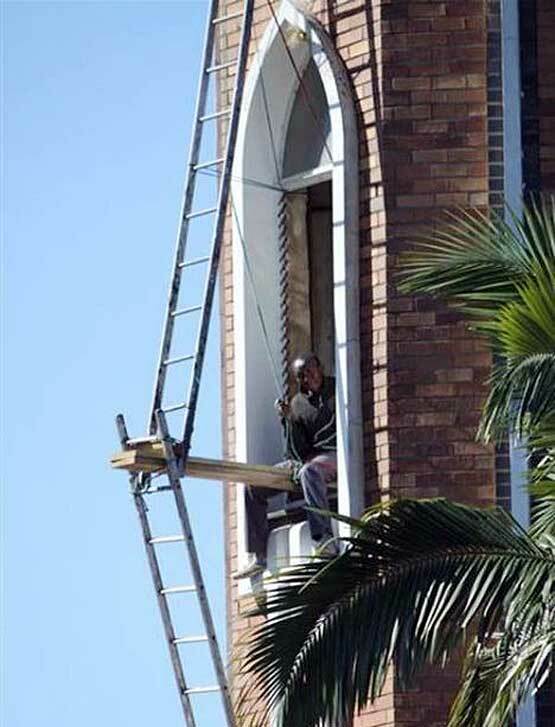 You might think that this is simply man on a long ladder doing a job that requires two hands? 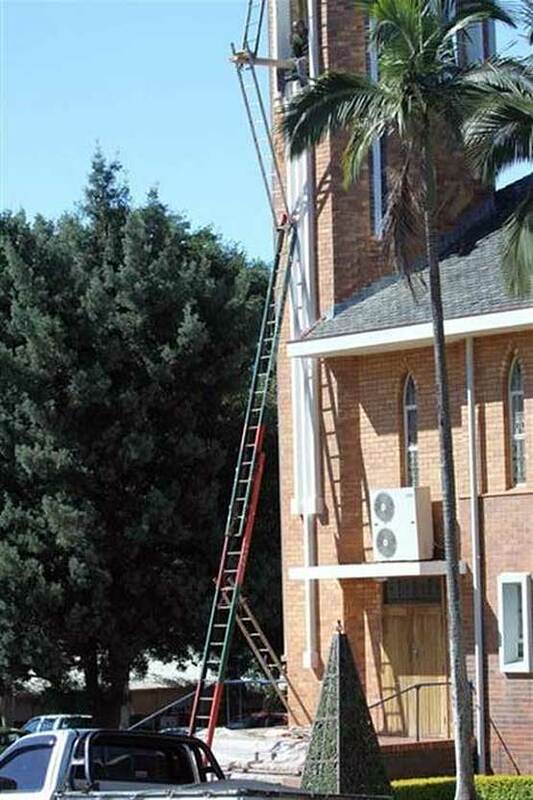 The ladder is way, way longer than you may think. The ladder the man is stood on is not resting on the ground. It is in fact balanced on a cantilever arm created out of planks with a human counterweight sitting on them while the man at the foot the ladder is holding his mate steady with a rope. If you thought that was craxy it doesn't end there, take another few steps back and you see the it gets worse or should we say better? ...although not quite, the first ladder is even longer! definite Death Wish. The chances of this going wrong are about as high as they go. 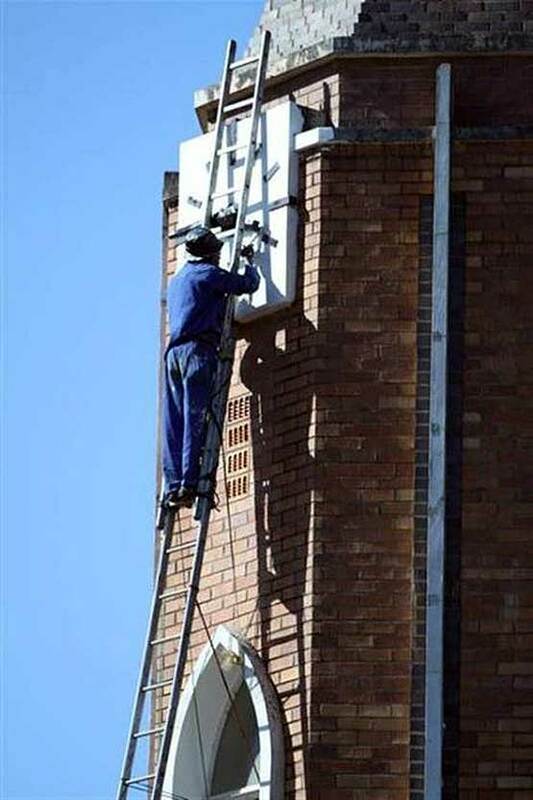 Makes one wonder which route up the ladder our man took? Did he climb the outward facing second stage or did he clamber over the human counterweight? ...definitely the job for a Divine Skyhook.